Published: Jan. 4, 2015 at 11:44 a.m. Updated: Jan. 5, 2015 at 01:49 a.m. The Atlanta Falcons are already searching for a head coach to replace the departed Mike Smith. General manager Thomas Dimitroff's job still isn't all that safe either. 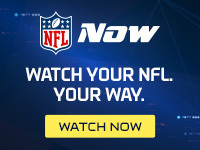 Ian Rapoport reported on NFL Network's NFL GameDay Morning that owner Arthur Blank has told people the new head coach will have a say in the future of the GM, according to sources who have spoken to the owner. Until that coach is in place and until the organization decides they are a match, Dimitroff's fate hangs in the balance, Rapoport reported. It's not a shocker to anyone who watched Blank's news conference following Smith's dismissal. The owner wouldn't provide assurances about the GM, who was sitting right next to him on the dais. It was an awkward scene, but clearly Blank was making a point. Dimitroff is a two-time NFL Executive of the Year and respected within many scouting circles. Whether Blank's message to coaching candidates is indication of a forthcoming parting of ways or a reshuffling of front office duties remains to be seen. But it is clear that the Falcons owner isn't sitting idly by and is willing to take any steps to get the coach he desires.